Illustrate My Design, LLC, is a certified Small Woman and Minority owned architectural visualization studio in Alexandria, Virginia that primarily serves the Washington D.C. Metro Area. Our creative team produces high quality digital art through 3D Modeling, Renderings and Animations. This is an exciting opportunity to build a career at our company! As part of our innovative team, you’ll expand your skills and learn new techniques working on projects for major design firms and high profile projects in the Capitol. Located in the heart of Old Town Alexandria, we’re just 15 minutes by car or metro from Washington, D.C. Apply today! Create and edit 3D models based on architectural plans. Apply textures and incorporate lighting into a 3D model. Produce photo-realistic architectural renderings using 3Ds MAX and Vray. The ideal candidate is positive and proactive, is attentive to detail and deadlines, works well independently and in a team, and has good oral and written communication skills. This position is at our studio in Old Town Alexandria. No telecommuting. Salary commensurate with experience. Please no calls. 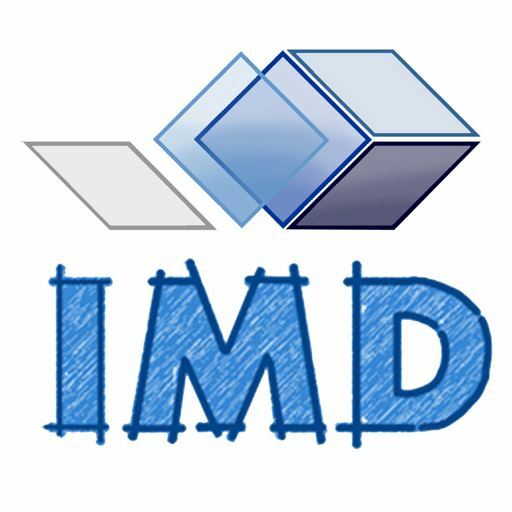 IMD does not pay relocation costs. – Advanced knowledge of 3DsMAX and V-Ray. – Advanced experience in Adobe Photoshop, InDesign, Premiere, After Effects. – Bachelors Degree in Architecture, Engineering or similar field. – Experience/understanding of construction documents and schematic drawings. – Advanced understanding of scale and composition techniques in virtual illustrations. – Ability to communicate professionally in writing and in person with clients and team. As part of our innovative team, you’ll expand your skills and learn new techniques working on projects for major design firms and high profile projects in the Capitol. The primary focus of this position is to translate architectural plans, particularly structural components, into high-quality 3D models using Revit. The ideal candidate is attentive to detail and deadlines, is a team player and effective communicator, and brings a positive attitude. Illustrate My Design, LLC is an architectural visualization studio in Alexandria, Virginia, primarily serving the Washington D.C. Metro Area. Our creative team produces high quality digital art using 3D Modeling, Rendering and Animation specific to the Design and Construction Industry. This is an exciting opportunity to build a career at our company! As part of our innovative team, you’ll expand your skills and learn new techniques working on projects for major design firms and high profile projects in the Capitol. Located in the heart of Old Town Alexandria, we’re just 15 minutes by car or metro from Washington, D.C. Be part of a growing creative team with exciting projects – apply today! Use Unreal Engine to create 3D environments based on architectural plans. Apply textures and incorporate lighting into 3D models. Create levels, and manage and create assets. Please note that this position is focused solely on creating environments, not characters. The ideal candidate is a positive and proactive self-starter, is attentive to detail and deadlines, works well independently and in a team, and has good oral and written communication skills. – Advanced experience using Unreal Engine. – Advanced experience in Adobe Premiere and After Effects. – Bachelors Degree in Architecture, Design, Computer Graphics, Animation or similar field. – Understanding of construction documents and schematic drawings. – Advanced understanding of scale and compositional techniques in virtual illustrations. – Experience with animation and post-editing in Adobe After Effects and Premiere. Previous: Announcement: Get ready for the Fair!